The AMD Radeon™ VII graphics card is the world’s first 7nm gaming GPU, ideal for powerful gaming and content creation with 16GB of HBM2 memory and 1TB/s memory bandwidth. Download this marketing toolkit filled with assets to promote and sell the world’s first 7nm gaming graphics card. Explore this infographic illustrating how AMD Radeon™ graphics products offer an array of benefits to gamers of all budgets and needs. 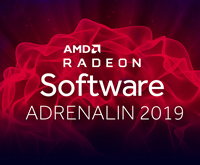 Learn about new features of the AMD Radeon™ Software Adrenalin 2019 Edition designed to unleash the power, capability and immersion built into every AMD Radeon™ graphics card. 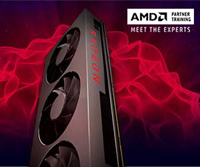 Check out previous and upcoming Meet the Experts webinars on the AMD Partner Hub. AMD recently released the next generation of our software suite, Radeon™ Software Adrenalin 2019 Edition, providing gamers, creators and enthusiasts with new immersive features that deliver unparalleled visual experiences. ©2019 Advanced Micro Devices, Inc. All rights reserved. AMD, the AMD Arrow logo, Athlon, Radeon, Ryzen and combinations thereof are trademarks of Advanced Micro Devices, Inc. Other product names used in this publication are for identification purposes only and may be trademarks of their respective companies.